drug test, employee background check services, employee drug screening, employee drug test Comments Off on Is Drug Screening An Important Step Before Hiring A Good Employee? The U.S. Department of Justice estimates that drug abuse costs US business owners over $140 billion every year, including the costs associated with turnover rates for employees who abuse illegal substances. Employee drug screening has never been more important. Some of the most successful companies in the world make it a point to keep its workplace drug free to earn consumer trust and protect their reputations. In fact, 9 out of 10 employers subject prospective and current employees to regular drug testing. The Employment Screening Benchmarking Report of 2013 reveals that drug testing is becoming ever more critical in the hiring process. Background screening—and rescreening—needs to be regularly done because workplace drug abuse comes with serious consequences that can sometimes be fatal. For instance, employees who operate heavy equipment should never abuse illegal drugs because it puts them at a high your risk of work related injuries or fatalities. Workplace drug testing can reduce the likelihood of workplace deaths related to drug use. Drug abuse on the job can create serious hazards in certain industries—hazards that put the safety of the other workers and the public at risk. Drug screening can minimize threats caused by negligent hiring. Substance abuse in the workplace can also negatively affect the company’s overall productivity. 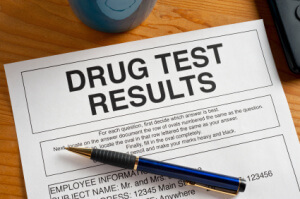 A mandatory employee drug test for job applicants can help discourage workplace substance abuse from happening in the first place, as it discourages drug users from applying for position. But drug screening programs should not only be done for new hires. There is a need to regularly check on current employees, too. Random drug testing has proven to be effective type in enhancing workplace safety. Urinalysis is the most common type of drug screening in workplaces. Samples are sent to laboratories that test them for traces of illegal substances. Other types of drug testing include hair, breath, and saliva testing. Many employers now opt to use five panel (or ten panel) tests to check for commonly abused drugs such as heroin, methamphetamine, ecstasy, cocaine, as well as non-medical prescription drugs. Due to the many choices available when it comes to employee drug screening, we recommend that you speak to one of our consultants, who can then create a custom drug screening option for your organization. We can help your company no matter where it is located, as we work with thousands of collection sites through our provider network. Our comprehensive employee drug test services can fulfill your policy needs. Implement them before offering employment to job candidates or for random post-employment checks. The drug screening packages we offer can be integrated with other employee background screening services or purchased separately.